Being an agriculture country with eighty percent of population living by agriculture, Viet Nam is known as a country that has the highest agriculture products for exporting. This is the consequence of strong investment for agriculture in Viet Nam. Especially from 1986, Viet Nam Government has had many prior policies and supports for agriculture. Besides, the dynamic management of Ministry of Agriculture and Rural Development and other authorities has also made a lot of changes for agriculture and for rural areas. Nowadays, the farmers have considerable investments in cultivation. They know how to apply modern sciences and technologies in productions; chose the good seeds, use the suitable fertilizers; and especially protect their crops by using pesticides. Therefore, their products increase year by year. 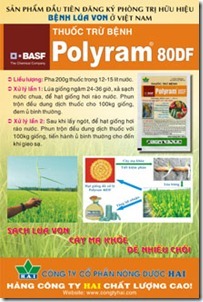 In order to help the farmers in protecting their crops, there are a lot of pesticide suppliers in Viet Nam market. One of the most prestige suppliers is Hai Agrochem Joint Stock Company (HAI jsc.). HAI jsc. has been a pesticide supplier since 1986. By supplying high quality pesticide products, HAI jsc. always meets the farmerâ€™s requirements, acquires their goodwill and has its business reputation in Viet Nam agriculture market. From the time of establishment, HAI jsc was changed the name and the jurisdiction many times. These changes have made HAI jsc strengthen its organization and its business more and more. October,1986 was officially established with the name Pesticide Supply Company South (PSC South) under the jurisdiction of Plant Protection Department in accordance with the Decision No. 94 NN-TCCB/QD, dated March 3rd, 1986 of Ministry of Agriculture and Food Industry (Ministry of Agriculture and Rural Development today). 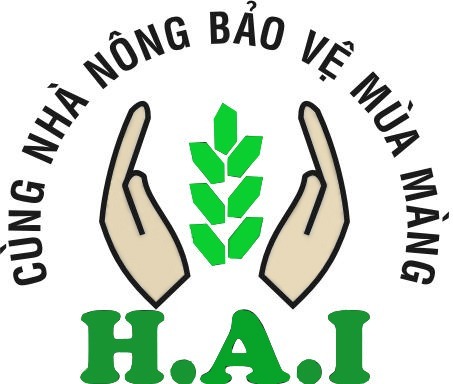 March, 1988 was changed into Pesticide Supply Company II (PSC II) under jurisdiction Pesticide Supply Company Ha Noi in accordance with the Decision No. 487/NN-TCCB/QD dated March 12th, 1988 of Ministry of Agriculture and Food Industry. March, 1989 was transferred to the jurisdiction of Plant Protection Department in accordance with the Decision No. 65/NN-TCCB/QD dated March 3rd, 1989 of Ministry of Agriculture and Food Industry. March, 1993 became a State-owned business company which belonged to Ministry of Agriculture and Food Industry according to the Decision No.100/NN-TCCB/QD dated February 24th, 1992 of Ministry of Agriculture and Food Industry. 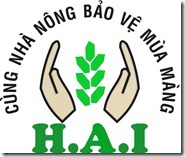 February, 2005 was officially changed to HAI AGROCHEM JOINT STOCK COMPANY (HAI jsc.) according to the Decree No.64/2002/ND-CP dated June 19th, 2002 of Viet Nam Government in equitizing the state-owned companies and the Decision 2616/QD-BNN dated August 30th, 2004 of Ministry of Agriculture and Rural Development in equitizing the PSC II to a joint stock company. On December 27th, 2007, Stocks of HAI Joint Stock Company were officially listed on Hanoi Securities Trading Center. SOME INFORMATION ABOUT HAI jsc. – HAI jsc. has its owned seal, properties and accounts in domestic and foreign banks as stipulated in Laws of Viet Nam. – HAI jsc. has it owned organization and business regulations. – HAI jsc. has the right to form funds as stipulated in Business Law of Viet Nam and as the determination of shareholders. To increase the sales quantities, HAI jsc. has the marketing and collaborator system stretching from North to Middle and South of Viet Nam. Every province, our Company has one to three marketing staffs and one collaborator who works for Provincial Plant Protection Department. These staffs are actually the bridge between the Company and Customers. 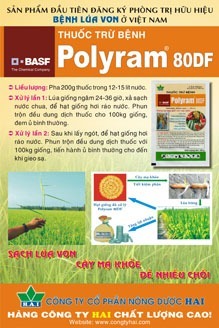 They help Customers reach new pesticide products and give them the suitable instructions in usage. They also contact with the customers to know exactly their needs and requirements so that the Company may have suitable and timely policies and solutions. Besides, they usually support the farmers in order to have the most effective method in their cultivation. With the aim that always listening to the expression of the Customers and having timely solutions for solving their needs and their difficulties, the marketing staffs of HAI jsc. are always the intimate and trustful friends of the Farmers.